The kitchen can be the busiest place in the house every morning, lunch and dinnertime. Sometimes, in preparing food, we cannot avoid the mess while cooking, chopping and washing the plates and sadly, our wall is not safe from food stain and dirt. Paper material as wall cover is not advisable for kitchen because it can be easily damaged by high humid. Using Vinyl Wall Paper cover is the best option for kitchen wall. One of our clients in Cubao, Quezon City opted for Vinyl Wall Paper for her kitchen. She used to have a paint wall, but because of food stains, her kitchen wall really looks dirty that is why she opted for Vinyl Wall Paper. 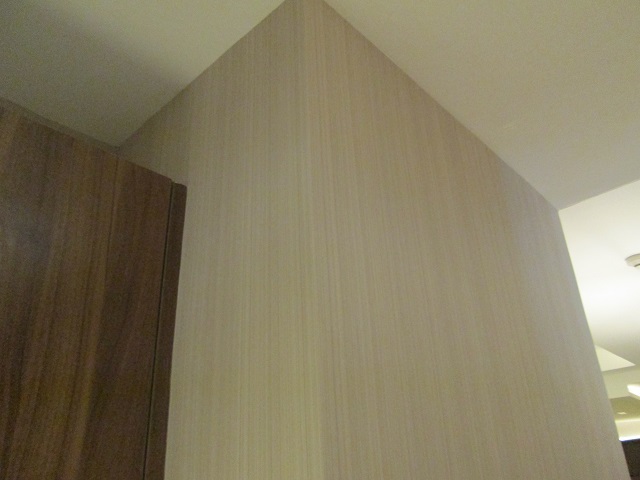 Our Wall Papers is made of Vinyl material, which is very washable and great for the kitchen wall. When stained, you can easily wipe it with a damp of cloth and let it dry. It also helps make the room looks lovely and interesting. The stripe designs also make her kitchen eye-catching and perfectly complement with her furniture, drawer cabinets and kitchen sink and vertical stripes also give the illusion of high ceiling. 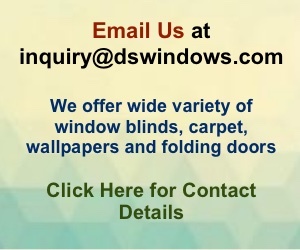 Aside from Wall Paper, DS Windows & Walls also offered Window Blinds like Combi Blinds, Roller Blinds, Vertical Blinds, etc. We also offered Carpets and Accordion Doors. 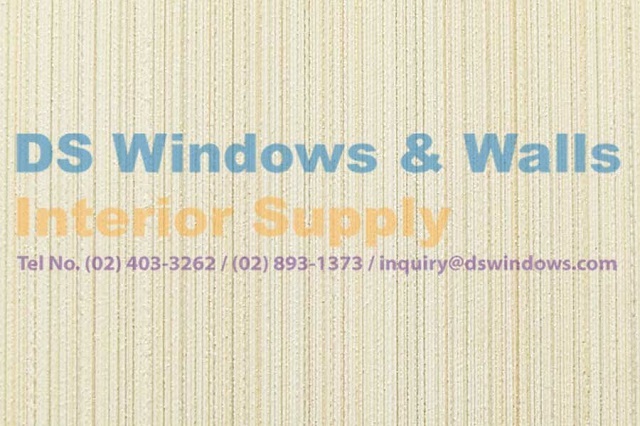 For more details about our product and services, do not hesitate to call us at (02) 893-1373 / (02) 403-3262 / 0916-311-3909 or email us at inquiry@dswindows.com. You can also personally see our samples in our showrooms located at 4th Level Waltermart, Makati City, 3rd Level Robinsons Metro East, Pasig City and 2nd Level Pacific Mall, Lucena City. For more interesting blog topics, please visit our main website at www.dswindows.com and to view designs of vinyl wall paper online, visit http://wallpaperphilippines.dswindows.com.